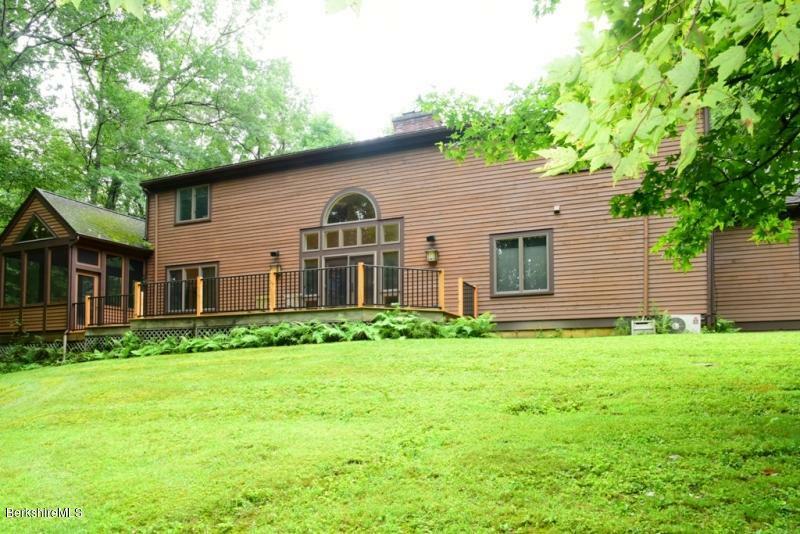 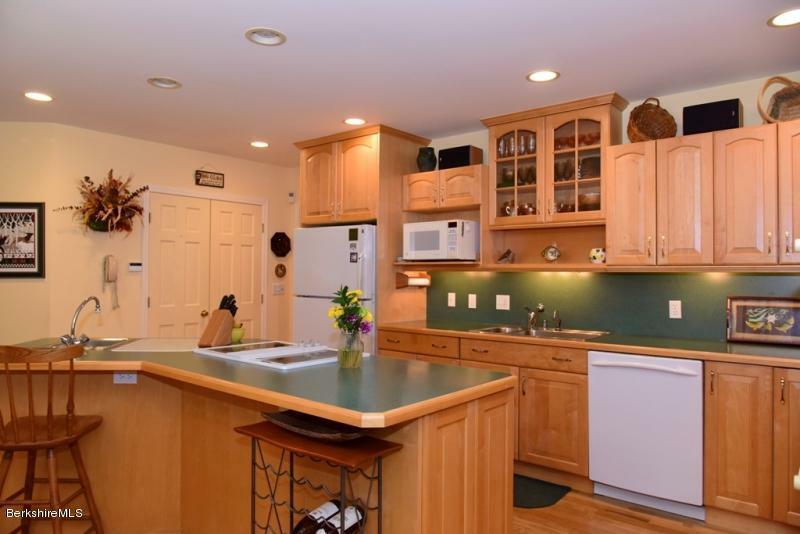 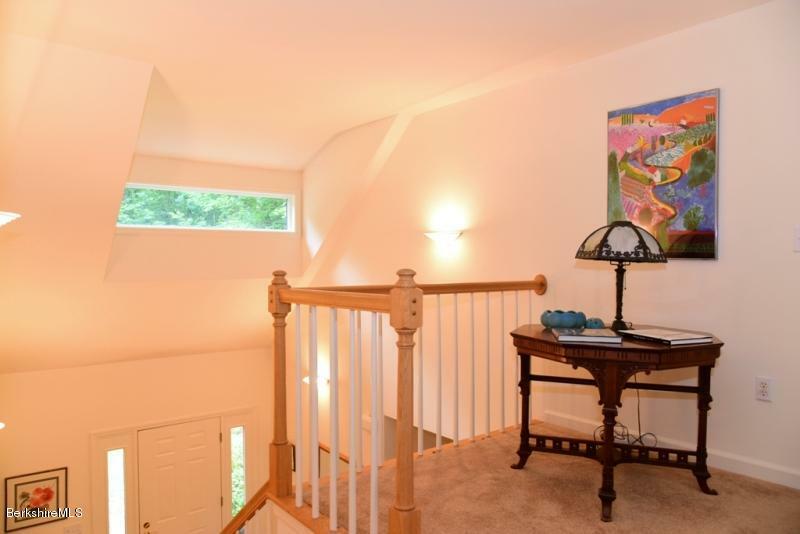 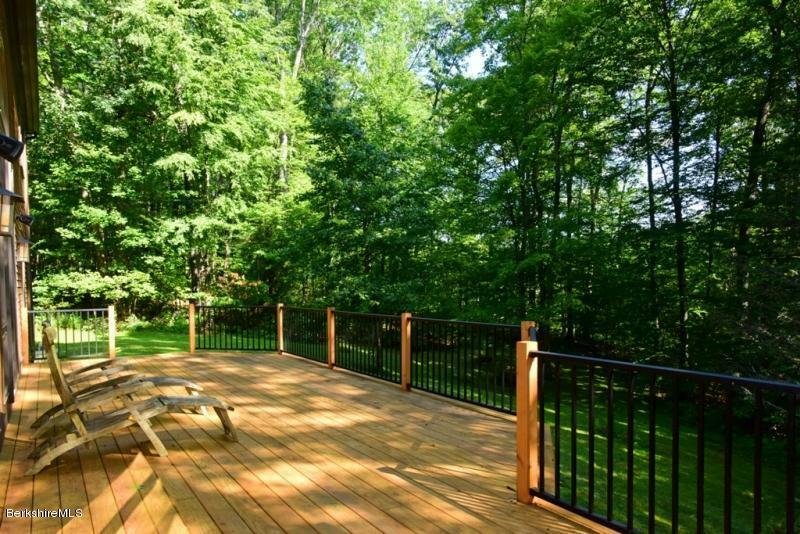 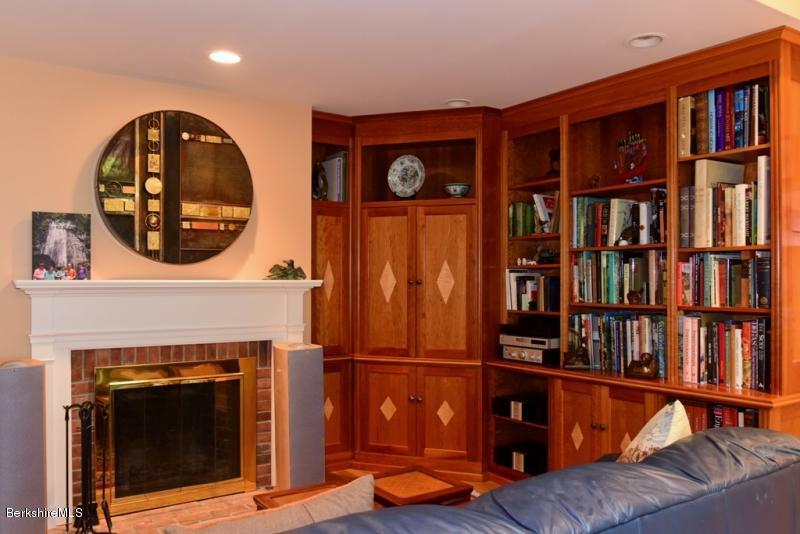 Tucked away on a quiet dirt road sits this beautifully maintained 90's contemporary home. 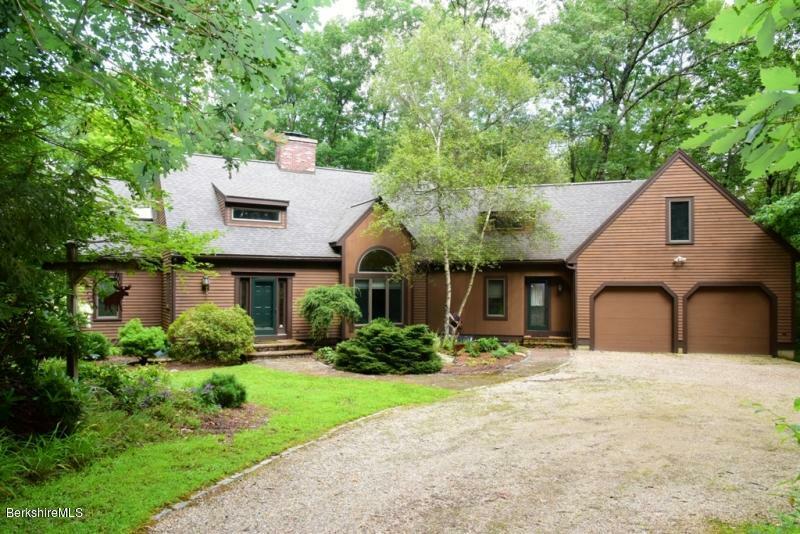 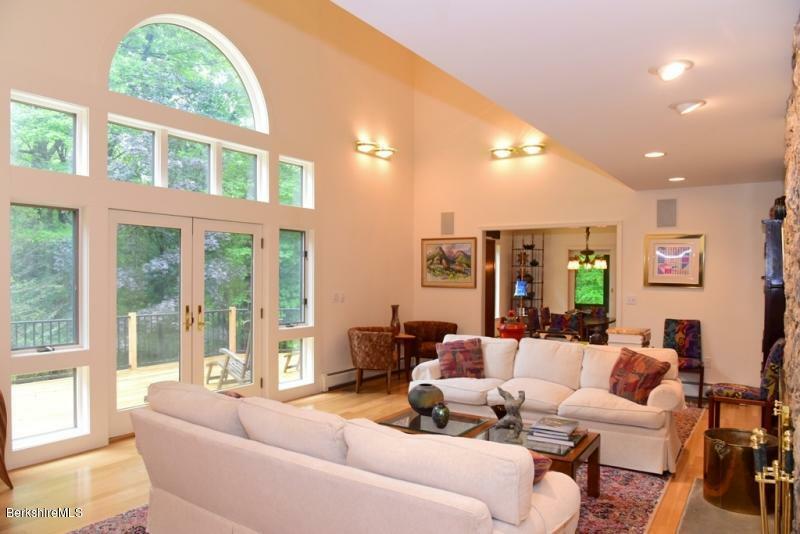 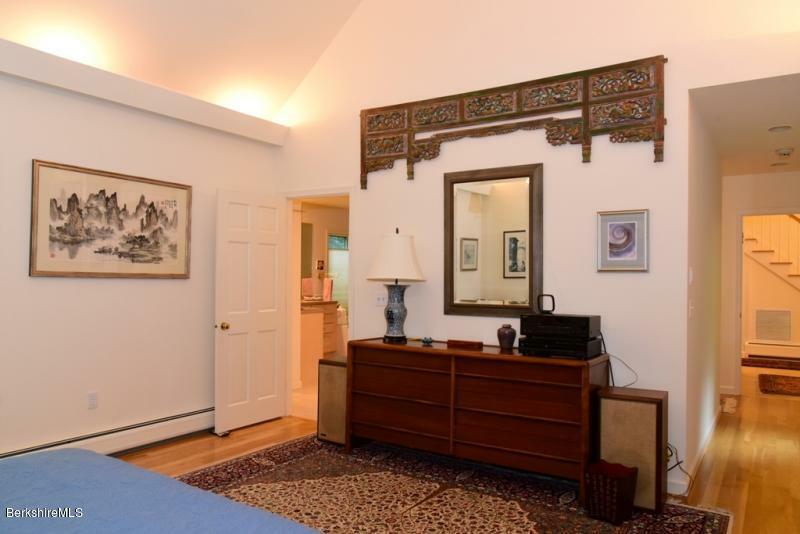 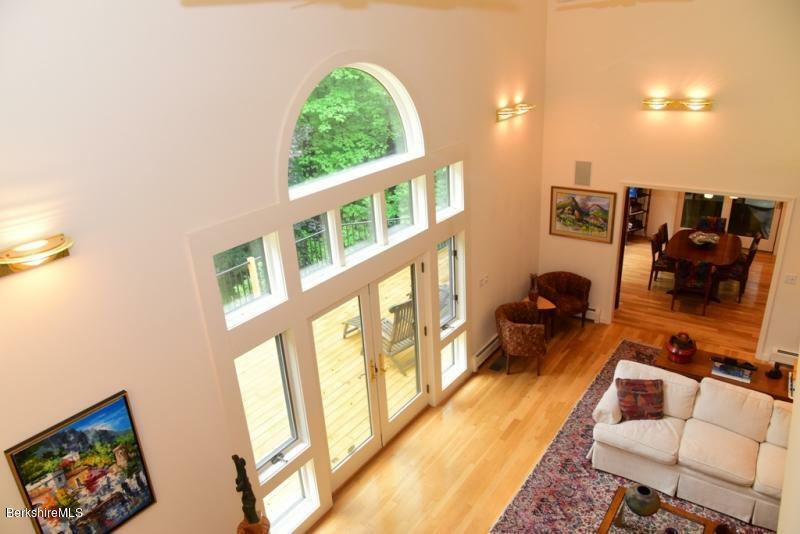 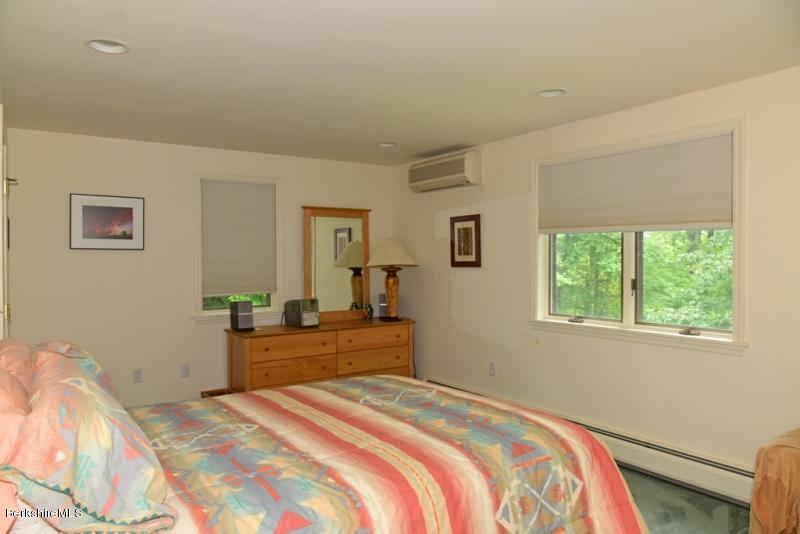 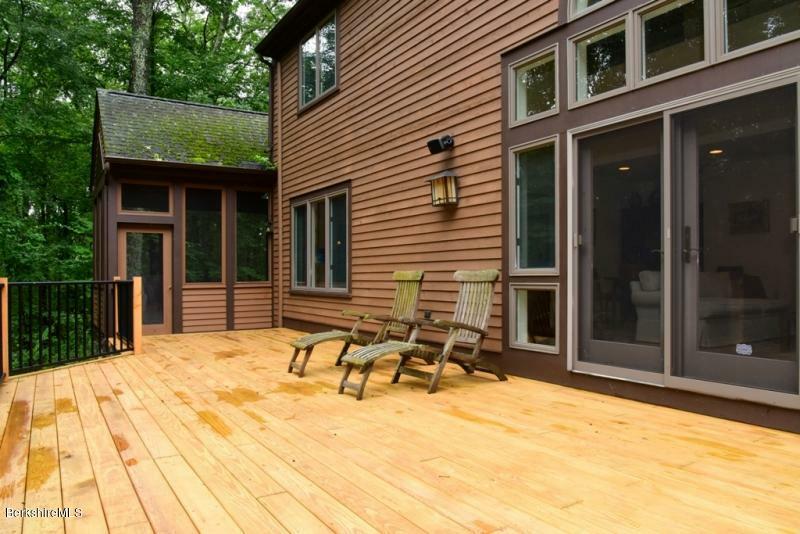 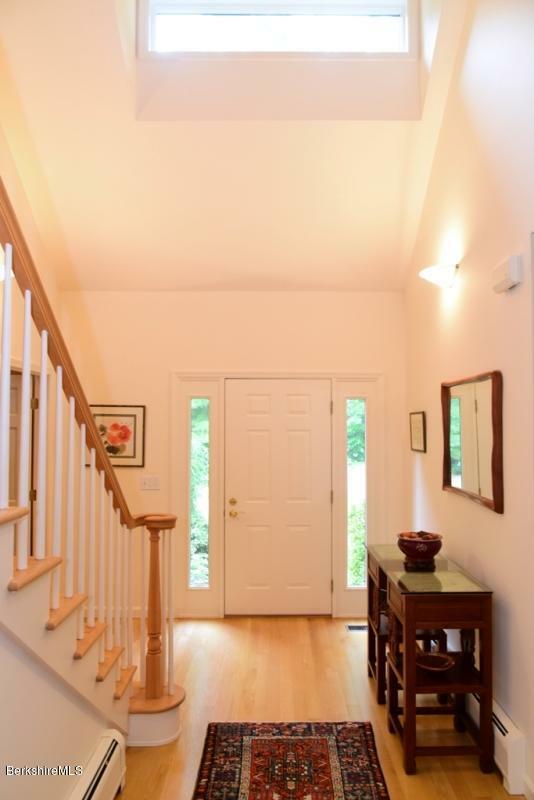 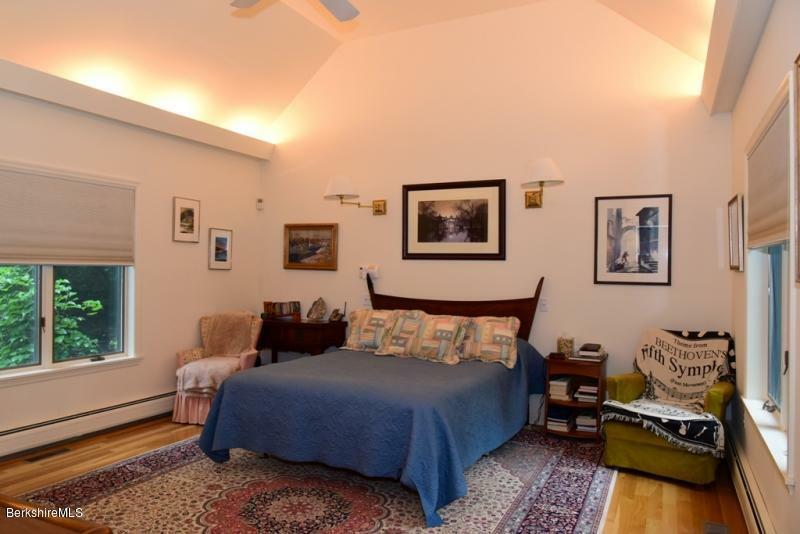 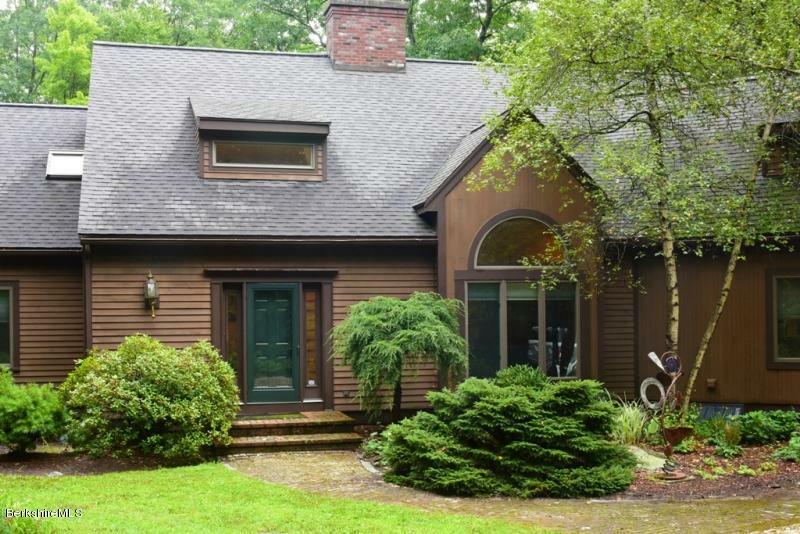 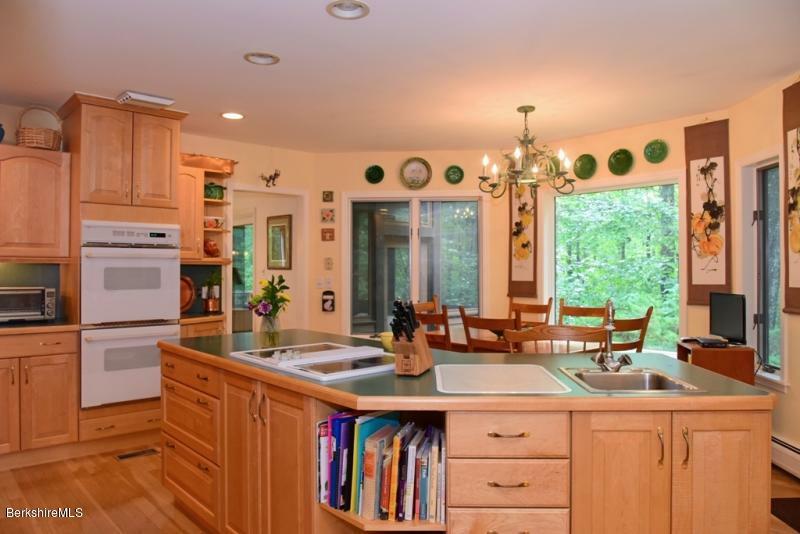 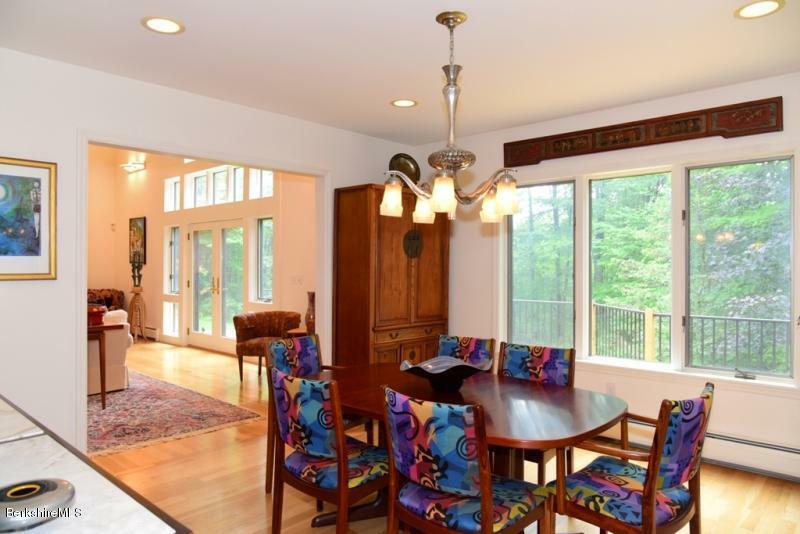 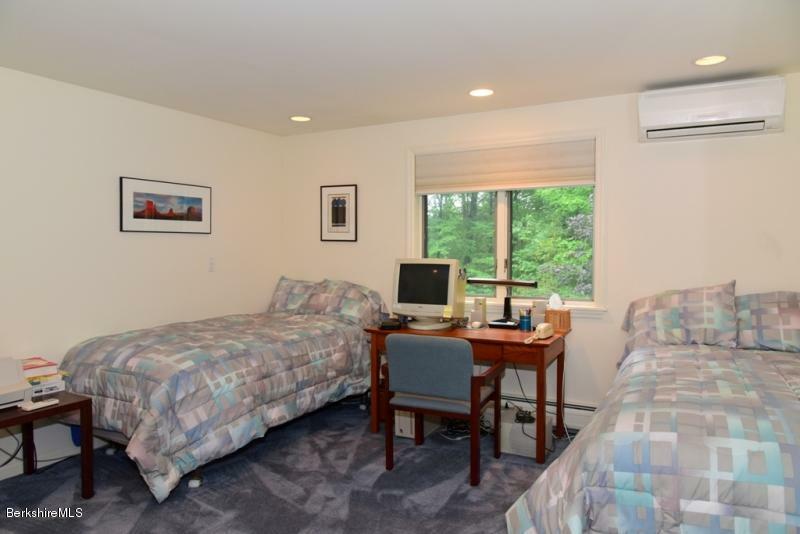 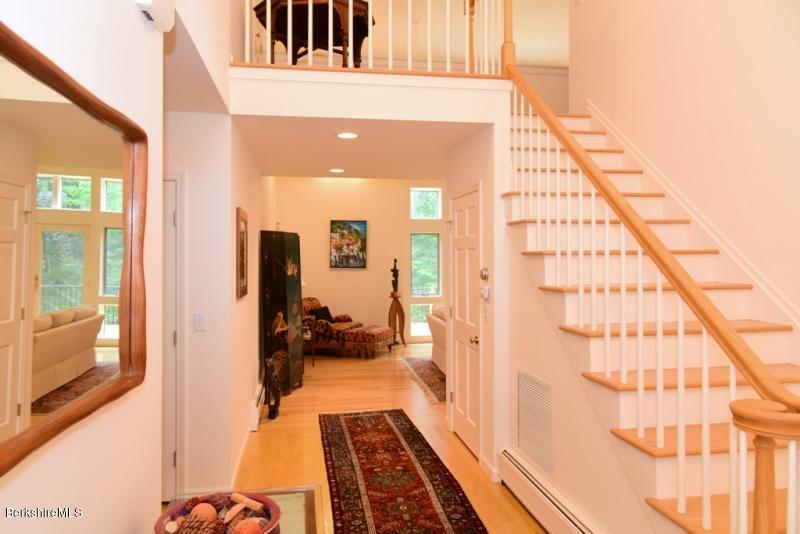 Enjoy total privacy and frontage on Three Mile Pond while being a short 10-minute drive to Guido's and downtown Great Barrington. 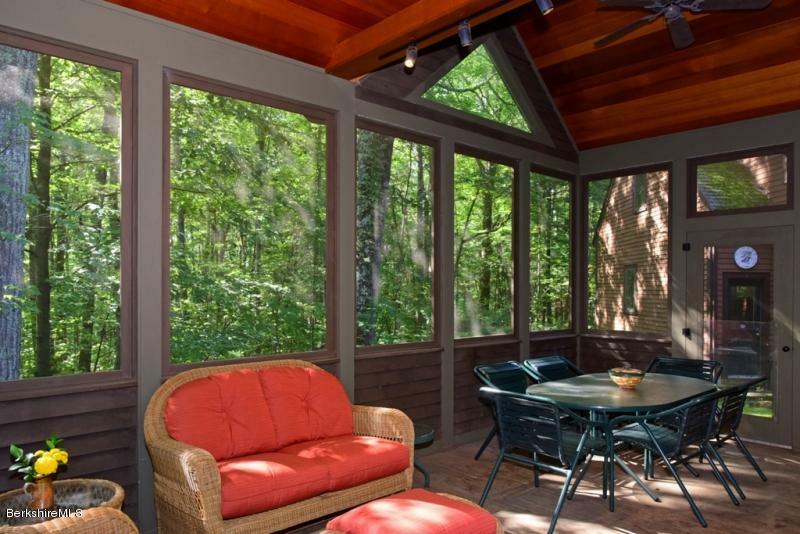 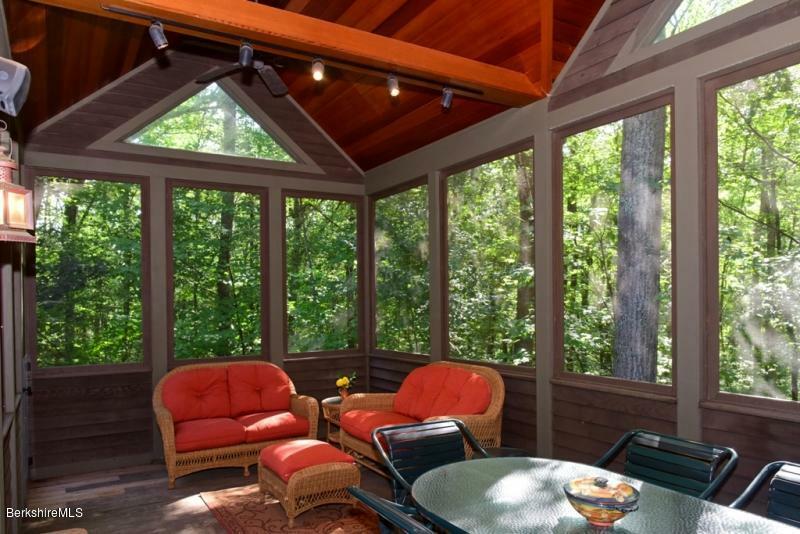 The privacy of this home can be enjoyed from the abundance of outdoor space as well as the large three-season screened porch. 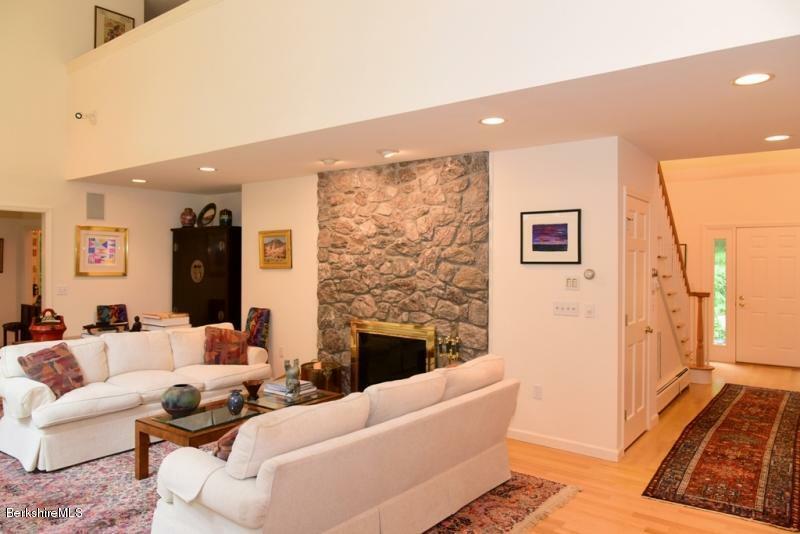 Inside you'll find Cathedral ceilings, a stunning stone fireplace, Cook's kitchen with an abundance of maple cabinetry, formal dining, a cozy den with an additional fireplace and a large master suite. 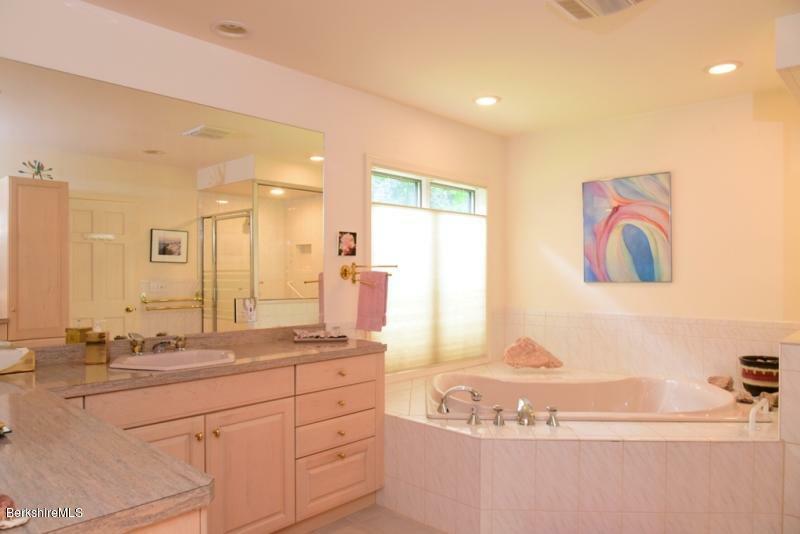 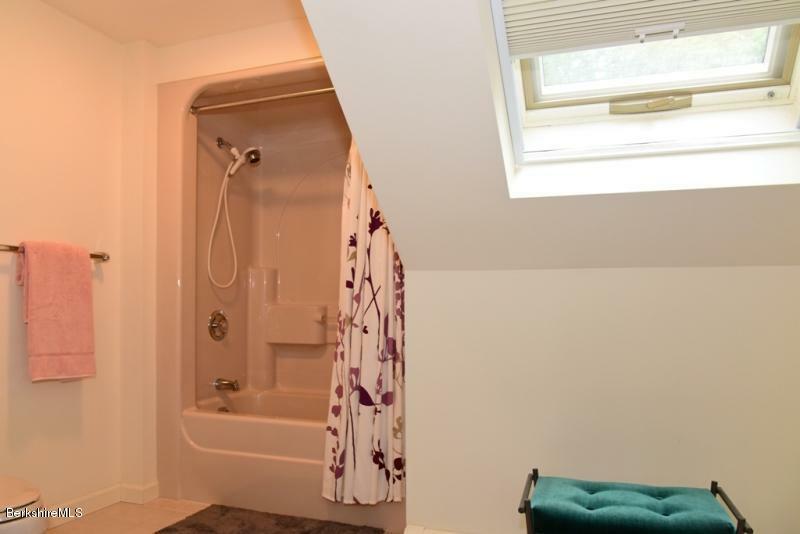 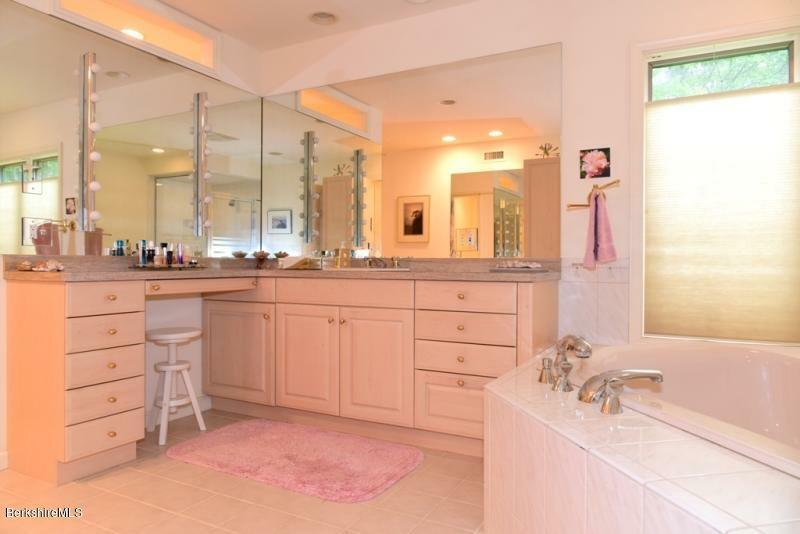 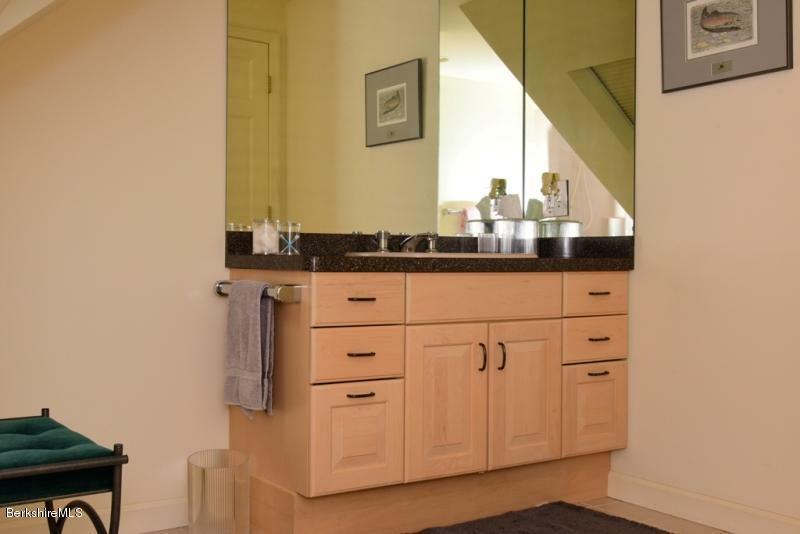 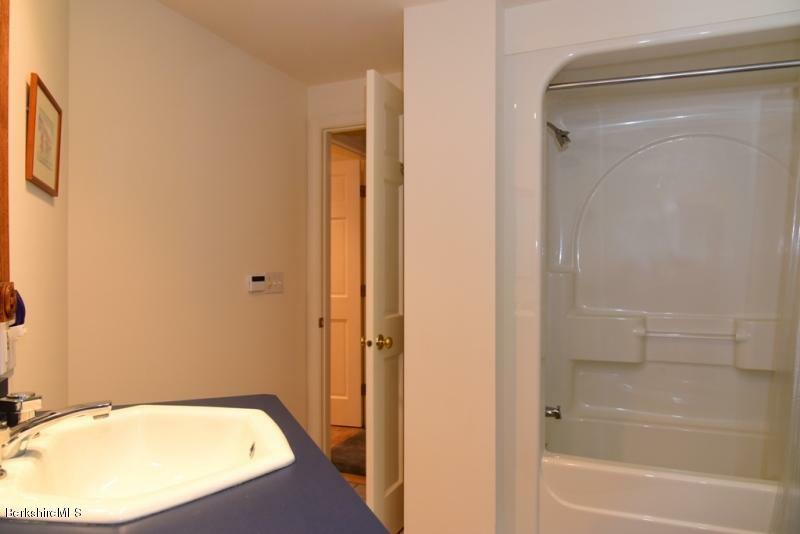 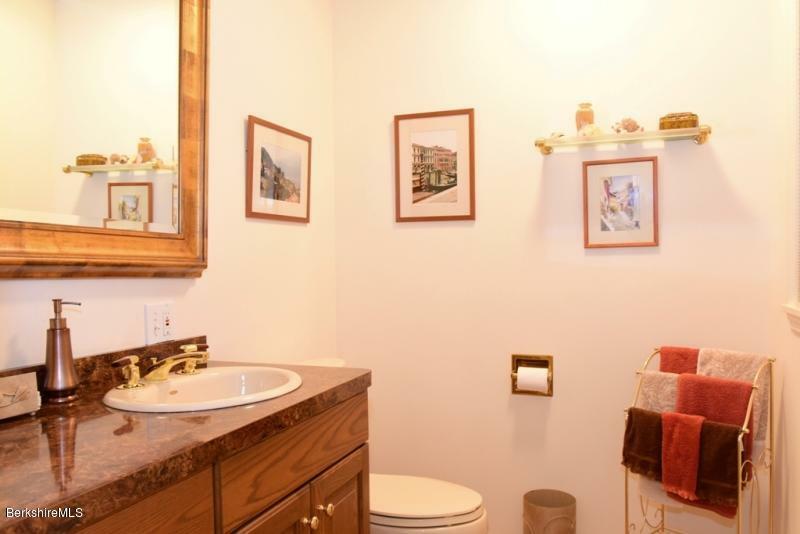 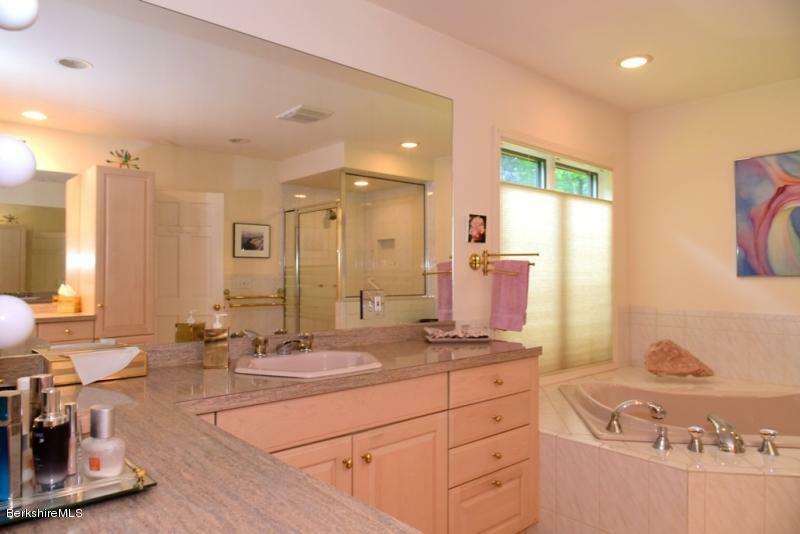 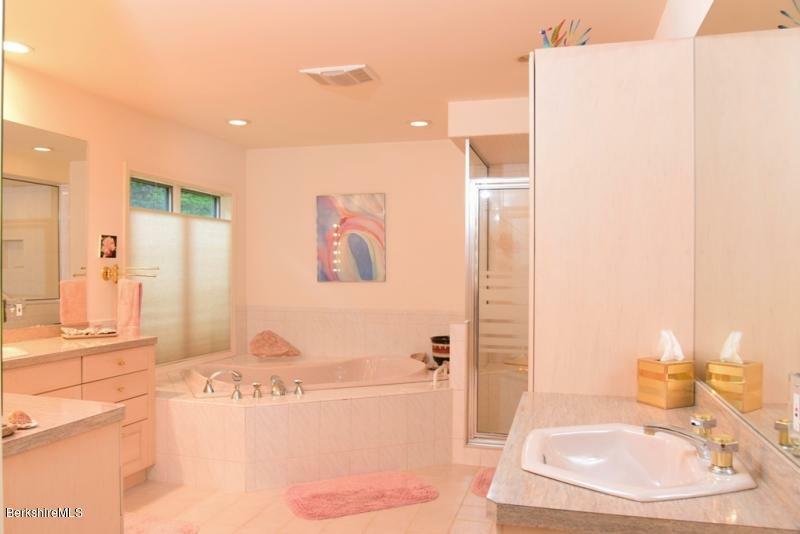 The Master Suite features cathedral ceilings, his and hers walk-in closets and an oversized bathroom featuring his and hers sinks, tiled shower and a large soak/jet tub.